The only real reason to buy an Hp 35s is for the NCEES exam or where you want or need a NON graphing programmable calculator (and if you want RPN). . Currently nearly all programmables are also graphing calculators. 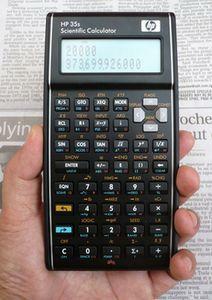 Some schools ban graphing calculators, but allow non graphing or calculators allowed on the NCEES exam. As such, the Hp 35s is the most powerful calculator allowed.